April is my life-change month. I married my partner Maggie on Sant Jordi, 25 years ago this year. Words will never sum up how significant and profoundly emotional the day of roses and books is to me for that reason alone. April is also when, three years ago, the team of doctors and nurses at l’Hospital Sant Joan de Reus, saved my life after I was felled by acute pancreatitis. I was critically ill. Conxi and everyone there at Sant Joan, if you are reading this, I will never forget the care and kindness, hope and determination. How lucky I have been. And it was in April, 18 years ago, that I stepped out of my “first world” bubble and into the “third”, an edifying, life defining journey into the maelstrom of a catastrophe. Mozambique, already the poorest of all countries, maimed by years of war, was drowning. Can you recall? It came into sharp focus for a moment because of one event, the birth of a child in a tree. The devastating floods meant there was nowhere else for people to cling to life – a daily life where normality was the lottery of minefields, malnutrition and Aids. Her mother had been in that tree for four days and nights before giving birth. I had seen and scented extreme poverty on my travels, but this was beyond desperate. Conflict had left thousands of street orphans, and by street I mean the lumpy mud tracks through the endless ghetto, home to millions, that circled the capital Maputo. The indelible memories are of children scavenging on a mountain of rubbish; of bewildered Tusha, the skeletal 5-year-old Aids orphan with no bed and but few months to live; the hundreds of women waiting in line in the heat for clean water from a new well, dancing and singing with joy; my abiding realisation of the gulf between what I thought I knew and what is real for so many people, so many helpless children, on this planet. The baby born in the tree has just turned 18. Her name is Rosita. She is well and thriving and is hope personified. 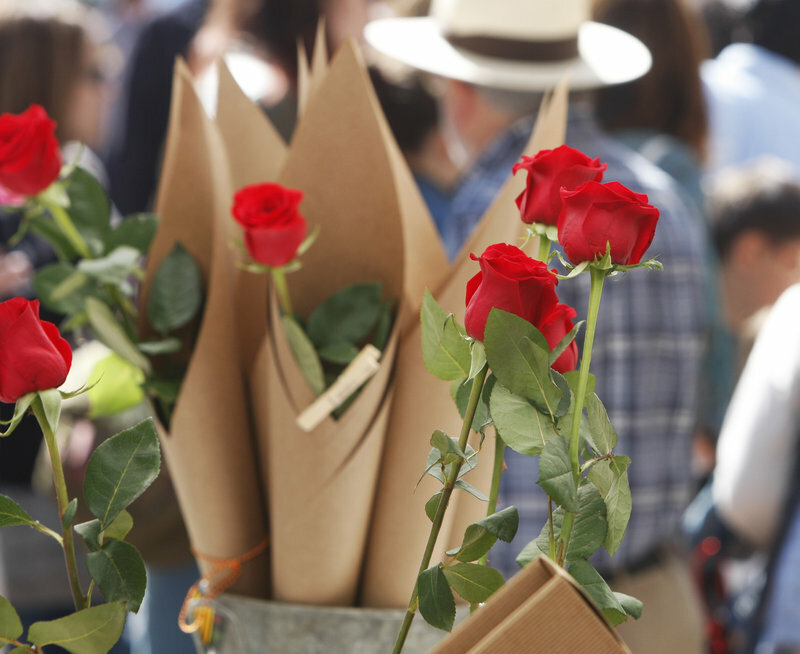 In the priceless, caring and sustaining tradition of buying a rose and a book, think about sending love and support further afield through a charity. I have been moved by how Catalans have implored the rigid Spanish authorities to accept more refugees from the latest tragedy that is Syria. That is profoundly the moral and caring course. Life is precariously short, even in our bubble, and we only have to consider what we would yearn for if we were a refugee from war, famine or persecution to realise what is the right thing to do. Catalans know this only too well. There are five photographs on my desk. One is of my Maggie on our Sant Jordi wedding day. There are others of my parents. And then there is Tusha .